Avoiding the dentist? Is it fear that’s keeping you away or. . . something else? 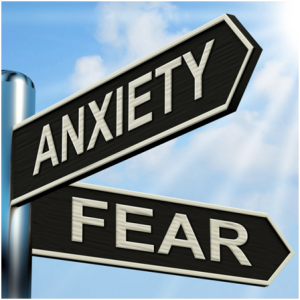 Scientists have long thought anxiety begins at the amygdala, the fear center of the brain. But a different brain part, the hippocampus, might be warning you away from anxiety provoking situations. Not only does the hippocampus handle memory and navigation, but it also has anxiety cells. Talk about an overachiever! But who is this overachiever talking to? Mazen Kheirbek at the University of California, San Francisco examined the connections within mouse brains. He thought these anxiety cells would be communicating with the fear center. Surprise! They were actually chatting with… the hypothalamus! That’s the primitive brain that tells you when you’re hungry or sleepy. Got that? Hippocampus feels anxious, and tells Hypothalamus – NOT Amygdala. But why is understanding these connections important? Figuring out where anxiety exists in the brain – and who talks to whom – could help pinpoint mental health conditions. Scientists could one day precisely target these brain regions with new medicines. Meanwhile, if you’re still putting off that dentist appointment, may we suggest. . . flossing? You’ll be glad you did.